Review: What To Say When……….. I recently reviewed The Box Of Manners By Learning Roots. Loving the concept behind the product and the quality of the cards, I then purchased ‘What to say When…’ without really knowing much about it. 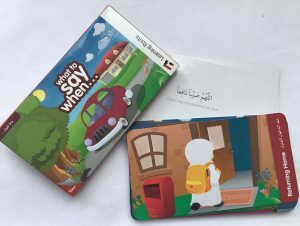 What to Say When… is a supplication and remembrance game and its aim is to help children with the remembrance of Allah (swt) in everyday settings. There are various ways in which the game can be played. The main way is ‘The Reciting Game’, where cards are placed in a pile with the illustrations facing up. Player 1 has to recite the supplication which is related to the first card and if they are correct they get to keep the card. If they are wrong the next player then attempts to say the correct recitation. If noone gets it right then the card is removed. The winner is the one who has the most cards at the end. The second way is placing the cards illustration down and the players have to state which event the supplication relates to. The cards can also be used to help with memorising the english translations and to help learn the supplications in Arabic. 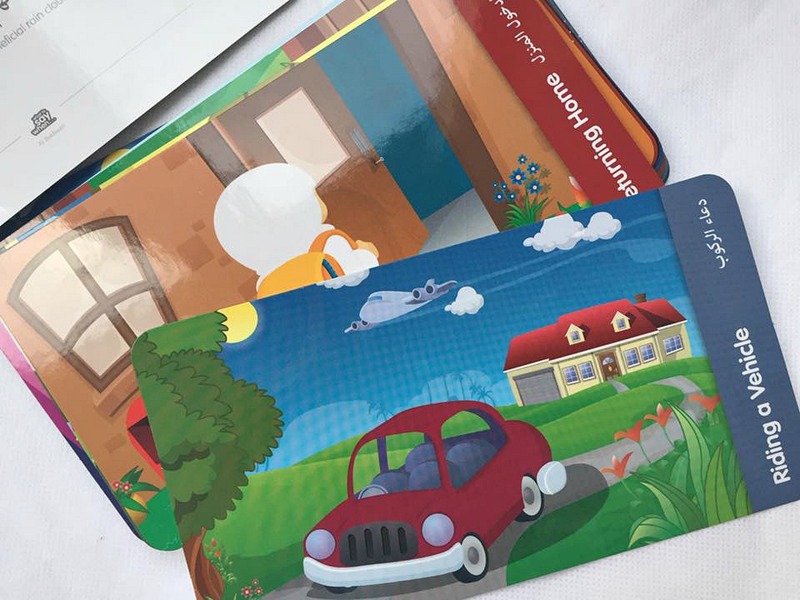 In addition to this when not using the cards for the games, they can be placed around the house to help with memorising them and using them in daily life. The game is more suited for ages 6/7 above. It is a bit too early for Bee to use them to play the game as she only knows her dua before sleeping and her dua before eating so far. She is currently learning her dua after eating. However, as my eldest knows quite a few in the list, she can actually have a go at playing it (but just needs a friend to play it with!) We can use the cards to help her learn the ones she doesn’t know and I can do random tests with her by showing her a card and asking her to recite the supplication. As an actual fun game we aren’t getting much use out of it, as the eldest doesn’t have anyone to play it with. However, I would recommend the cards. They are of a good quality and will last in sha Allah. The illustrations are bright, colourful and fun. They are perfect to help in learning the supplications…and while Bee is learning the duas I can use the relevant cards to ‘spot test’ her, in a fun way. However I do feel we will get more use out of them as she gets older and knows more of the supplications like her sister. 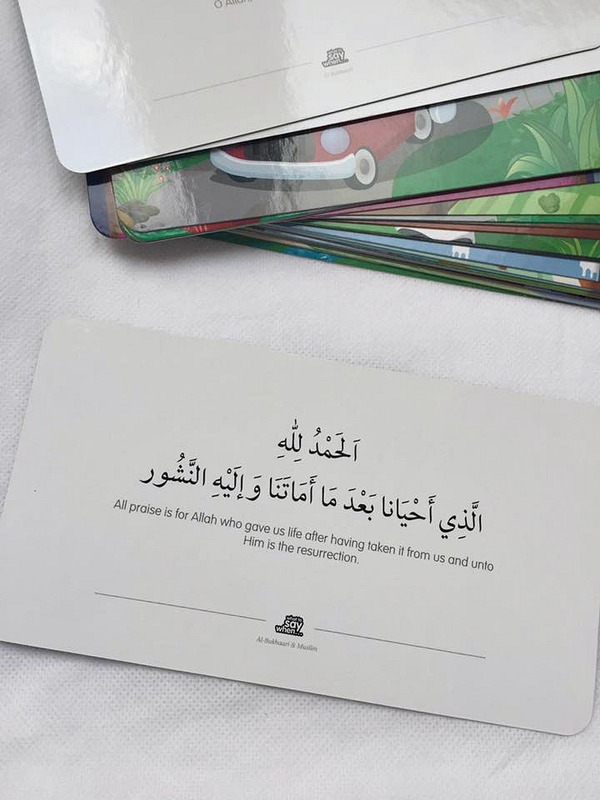 The cards are a perfect way to help your child with the remembrance of Allah (swt) in their daily life and in sha Allah will help lead them to also turn to Allah (swt) when they need help and guidance about other matters. ”And when My servants ask you, [O Muhammad], concerning Me – indeed I am near. I respond to the invocation of the supplicant when he calls upon Me. So let them respond to Me [by obedience] and believe in Me that they may be [rightly] guided”(2:186). If you wish to purchase the game you can do so via the learning roots website. Click here (affiliate link). How do I buy your products ? Thanks for reviewing the cards. I didn’t know such cards existed. 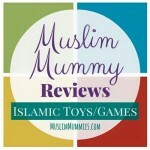 I liked your review as it was very detailed and you also showed us how your kids play with it. I would have loved to know the price without visiting the website. Also, the link to the “learning roots” in the first line is not very prominent because of font color. I almost missed it. Overall, great review with good pictures and detailed list of duas. Would love to make some for my own baby. Love this idea! I was thinking of getting them for my daughter. She’s only 4 but I could hang on to them and they can grow with her. Oh what a great way to teach the lil ones! I think you could play all sorts of games with it , will bare it in mind as an Eid gift for my nephew. I bought these, very prematurely, for my then 18-month-old and still haven’t got around to using them. She’s now 3 and still isn’t old enough to use them really, but I remember thinking at the time that if she doesn’t take to the game, I could find a way to display them around the house in places where she would need to use them, e.g. the dua after using the toilet in the bathroom, the dua before/after eating in the dining area, dua when leaving the house on the door etc, and that way she will recite them every time she needs to and will eventually learn them without even realising inshaAllah. I bought this for a friend’s daughter based on the video and never got a chance to look inside the packaging – I didn’t even realise you could play a game with them! How adorable – now I just have to wait until the kids are older lol. I’ve just worked on developing something similar, but not meant to be a game, more of a reference inshaAllah! This sounds like an interesting and an educational product but my son is just 2. I might buy it for my niece and nephew but just wondering if the company delivers in Toronto. A very nice concept that can be used to make children learn the duas in an enjoying manner and helpful for adults too to memorize. Loved the idea & also it will be a great gift to give to children! This seems just awesome. let me see if its on Amazon! thankyou for your review!